WILL THE DIGITAL REVOLUTION BURY EVERYTHING IN THE ANALOG WORLD (STRESS ANALYSIS)? Sit back, relax, and enjoy a smooth, safe ride through the Analog-Digital world. There is no doubt that the analog stress analysis field is going through very exciting times. 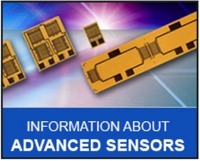 The digital revolution has made analog strain sensors even more necessary today than before. Structural Health Monitoring , Automotive, Aviation, Robotics, Automation, Space Exploration, Transducers, Smart load cells, Autonomous Vehicles, Condition Monitoring, Food & Beverage, Smart Manufacturing, Artificial Intelligence and Technology 4.0 devices are packed with analog interfaces and a host of analog sensors such as Advanced Sensors Technology foil strain gages – whose count increases with each new generation. The Internet of Things (IOT) is all about massively gathering sensor data in one form of another (force, pressure, strain, load, displacement, temperature, etc. ), under strict environmental conditions and cost constraints. All the while the traditional analog stress analysis techniques are clearly showing their limitations in the face of aggressive device and PCB scaling. This makes for a very challenging but a very interesting period for analog designers (electrical, mechanical and civil engineers) with plenty of opportunities to make an impact. Hey, Analog is the future! The Emperor inside each of us always wants the newest strain measurement fashions (we forget sometimes that there is more new fashion in the analog world than in the digital world). Several peddlers will always try and convince our internal Emperor that the clothes (a binary fabric) they make are of such fine quality that only the most important people (or optical tools) can see them. Rarely can we admit that we aren’t the most elevated person, so we wear the clothes and everyone says what a fine set of clothes we have, because they are afraid to contradict our internal Emperor. Then we go out to a parade (bridges, dams, pipelines, infrastructure, wind turbine, mines) to show off our new clothes for all to see. Everyone pretends to admire the clothes except one little boy (that small voice in our head) with an Analog insight who shouts, "Hey! But the Emperor has no clothes (00001)." I remember at the university (Technion) we were told more than once in the beginning of our studies, and again near the end before we graduated, that the digital revolution in electrical engineering will bury everything in the analog world, but what a surprise when the opposite occurred. 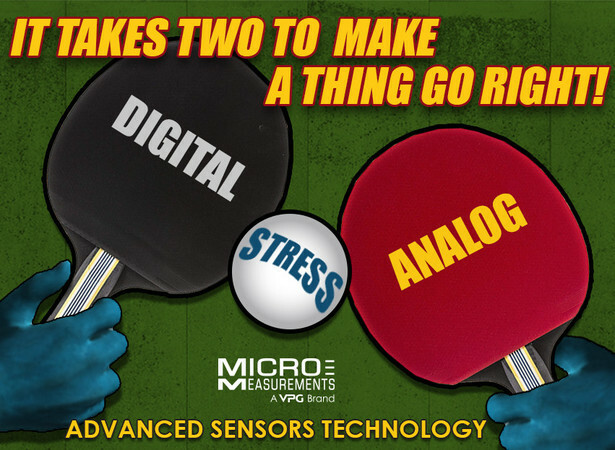 In a stressed world where immensely powerful digital interfaces, devices, and processes are everywhere, analog sensors – and some will even say analog ideas – and particularly stress analysis methods, are enjoying a resilience precisely because of what they so outstandingly achieve. When we speak about analog, we are referring to the processes like stress analysis and the products like Advanced Sensors Technology strain gages, which are two distinct phenomena of the mechanical, civil and electrical design world. 1. Using analog processes and sensors permits her designs to progress with minimal interruption and interference. 2. The normal rules associated with using any form of analog sensor, such as a strain gage, are often the kind of constraints that spark her imagination, inspiration and innovation; but, on the other hand, her creativity is hampered by the 99% monopoly of software associated with using digital processes and products. 3. Using an analog approach to any design process modifies the very nature of that process (before installing a strain gage, you should start with a pen and a paper before you use your laptop or smartphone). 4. Face-to-face, real-time communication is still often the fastest way to get something done. 5. 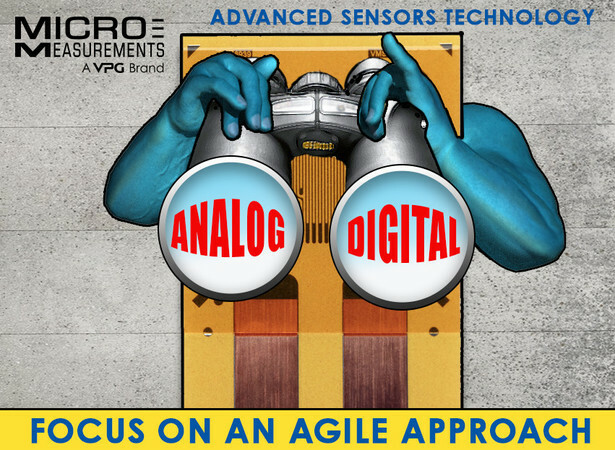 A purely Agile approach using a strain gage for structure testing and new product development can be very difficult to achieve unless you find the right balance between analog sensors to digital output. The ability to quickly adapt to any changes in the force measurement requirements is vital for an agile strain gage technology. 6. No plan (stress analysis strategy) survives first contact with the enemy (stress concentrations) (Helmuth van Moltke) - Advanced Sensors Technology can be quickly adapted to new specifications. 7. “The Lean Stress Analysis” – No airplane manufacturer (especially today) would spend tens of millions of dollars, or more, designing a new airplane line, tooling up an entire manufacturing line, and build-up hundreds of units, without first “gauging” the demand. 8. Always try to be more creative and more capable. Step outside your digital “comfort zone” (00) and learn new ways to use Advanced Sensors Technology foil strain gage. Would you want to be the first one to ride on an airplane or in a self-driving car that has had no design requirements verified by physical measurement (only computer-generated data was used to qualify the vehicle)? In many cases today, a product design may start with lines scribbled onto a napkin (Dr. Felix Zandman Invention Napkin) during lunch and then eventually reach a CAD workstation for solid modeling. From there it becomes part of a virtual assembly where it is studied for fit and function by any number of software packages. Once it is considered feasible and worthy, engineers optimize it using another virtual process known as finite element analysis (FEA). The goal of FEA is to determine the strongest part that can be produced using the least amount of material, while still remaining within the margins of safety. Using a passive sensor helps us to become a better thinker when we need to analyze stress. Because the process of using a strain gage includes many times recording thoughts on a piece of paper, the strain gage bonding process encourages us to stop and think deeper than just the view on a screen full of many dots and numbers. 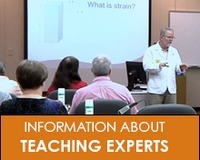 Some people consider a strain gage sensor the core of a down-to-earth approach to understanding strain vs. stress. For many manufacturers, this is where the commitment to the production of the designed product occurs. For most of them the safety factors incorporated into the design and a conservative approach led by previous examples results in a successful product. For the others, they discover problems when transitioning from the virtual world. In the time since the inception of FEA, it has become clear that it is only as good as the assignment of loads, constraints, and boundary conditions allow it to be. Here is where the experimental methods come into play. A test part can be produced in the conventional manner or by using a rapid prototype process such as 3D printing. The prototype can then be coated and studied using the PhotoStress technique, which provides a visual strain field. This can be correlated to the computer model and any needed corrections made. Another approach is to use strain gages and a data acquisition system to analyze the stress from real-world conditions and validate the virtual model. Once the FEA model has been validated, further iterative modeling can be performed with less risk of future catastrophic failure. FEA, DIC, other optical methods and experimental mechanics can work as a team! When it comes to collecting strain data within the world of modern manufacturing, it isn’t just about optical quantity and number of dots or pixels: It’s also about the quality of the analog information that you are gathering from various sensors. It is important to have accurate data that enables any stress analyst to analyze it and make decisions now, as well as for the long-term. We've reached a critical phase in the design and development of automotive, medical, gas & oil, and consumer products, and also in the areas of energy and test and measurement where every old sensor is new again. And, this approach is really working well in experimental stress analysis when you design a car, airplane, sport equipment, infrastructure, structural health monitoring, medical robot or IOT interface. Another trend in the aircraft industry today is long-term structural monitoring throughout the aircraft, including airframe and engines. This requires monitoring the stresses experienced by various parts of the aircraft during flight. Wing stress, which can be related to wing-tip deflection, is one example. Advanced Sensors Technology Strain gages, like the CEA-series offered by Micro-Measurements, are bonded to wing spars and the stresses calculated from strain data are reviewed during routine maintenance. These calculations expose the service loads experienced by the wings during flight. If found excessive, then the airframe is tagged for further review and possible reconditioning. Detailed strain (physical) measurement can be used to understand the subtle influences on design and performance from every piece of the aircraft. Accurate flight data could also be used to conduct better flight performance from an airliner in turbulent conditions. Cracked, worn, or damaged parts can be detected early, before they cause catastrophic problems. Proper test procedures and the right strain gages and data acquisition systems will increase flight safety and further improve aircraft reliability. The weight savings resulting from programs like FBW and MEA can be re-allocated to additional revenue-generating passengers and cargo, while at the same time reducing maintenance costs and improving passenger satisfaction through fewer repair-related flight delays. Certainly, technological developments have reached the point where the values of control and system safety are well understood and have been applied to the flight control systems of many popular aircraft manufacturers. These companies are working to reduce aircraft operating costs, reduce fuel, and, hopefully, make air travel an affordable option for passengers who must now rely on slower and a possibly less safe means of transportation. We should also remember that the complexity of this process has increased as designers work to solve conflicting interactions between several equipment systems by enhancing the efficiency of each. Research in the last several years in the alternative energy and smart grid technologies has shown electrical systems tend to be more energy efficient and environmentally friendly than their hydraulic counterparts. To achieve the right solutions, each application and function on the aircraft must be considered on its own merits. Another way to look at the difference between analog and digital is to consider Likert scale (Analog) vs. Binary questions (Digital). Compared to a binary question (0 or 1), which provide only two choices, yes or no, the Likert type questions (or in our stress analysis) provide a more reliable way to measure opinion, attitudes and several specific behaviors. The combination of analog survey (Likert questions) and digital survey (binary questions) creates a great system for digging (or drilling) down the rabbit hole much deeper in any specific topic (or stress concertation) to get higher resolutions (or as we say higher elongation) about what people really think. The Likert scale is useful when a stress analyst needs to measure something local and more specific and with a higher level of understanding (more accuracy) about the details (= strain) in her replies. Using the best-quality strain gage sensors will contribute greater efficiency and understanding during program implementation. Advanced Sensors Technology CEA-series strain gages and System 8000 data acquisition system are expertly designed and manufactured to simplify the task of improving aircraft safety and efficiency. Today, we are using new strain gage technology to achieve the same solutions, but with better long term cost vs. price ratio and performance. And lastly, but certainly not least, are you ready to replace strain gages and other traditional sensors with using only digital methods - Analog isn’t going anywhere and the future of our test and measurements is looking bright.